Superior quality, luxury style, and the lowest pricing available. 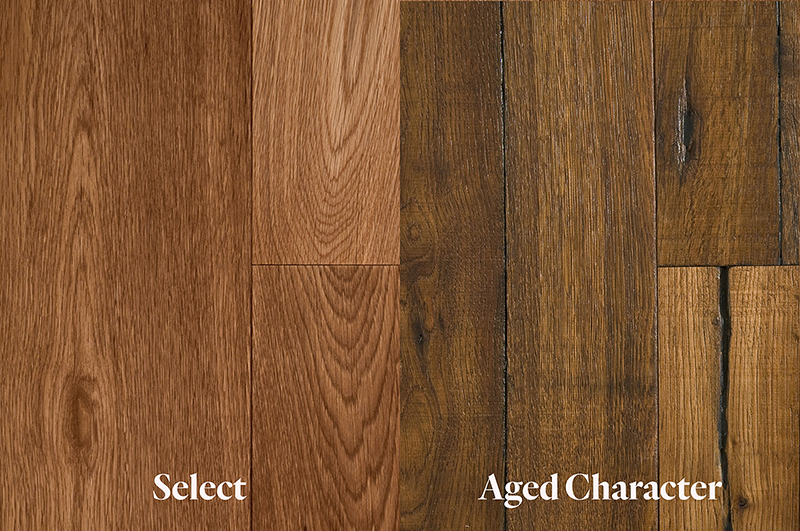 Three things you want when shopping for hardwood flooring. But where can you get this great combination? With the new DuChateau hardwood collections you get all of it at American Carpet Wholesalers of Georgia. This is your introduction to DuChateau hardwood and its supreme styling and luxury looks in hardwood floors today. DuChateau believes that, “The connection between nature and the individual must be met with truly innovative design if we are to ever fully appreciate the similarity and difference of the two.” So, what does that mean to the consumer? It should mean that they can rely on DuChateau hardwood to not just deliver great flooring but also deliver an immersive group of products. Products that work together to bring you finely manufactured and luxury finishes. So, that’s all romantic and sounds great, but what does DuChateau hardwood offer you that is an advantage. Let’s start with the type of floor. The DuChateau hardwood Select Grade is going to be a smooth, modern floor. 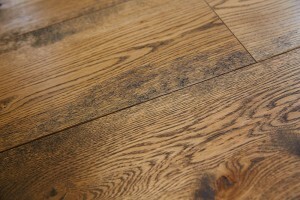 The Select Grade is very uniform in the wood grain with minimal variation between planks. The Aged Character wood floors are an old-world and antique looking hardwood floor. This is going to be wood flooring with great variation in plank. It will use the free-forming grain patterns and the knots and cracks of the wood. 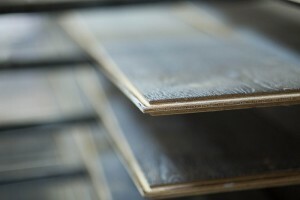 This will be flooring like that found in old world wood flooring. Either type of floor from DuChateau is going to have a certain amount of variation in the wood plank. This means that the color in the wood can be more or less uniform. So if you prefer a more uniform variation or a great amount of it, DuChateau hardwood can give you that look. DuChateau hardwood also has different styles of production. Distressing gives a vintage look while keeping uniformity. Smoking is a method that uses the natural tannins in the wood to give it color. A very authentic, rustic floor with a lot of color variation is the result. Brushing is a method that removes soft wood and brings out the texture. Good for making the floor more durable and impact resistant. Carbonization is a method that uses high heat and freezing to strengthen and give the wood an amazing look. Instead of a polyurethane finish, DuChateau wood flooring uses a rich and warm wax oil finish. DuChateau hardwood floors don’t use ordinary high gloss polyurethane finish. The wood floors benefit from a hard-wax oil finish. This gives a refined matte finish with a very natural look. 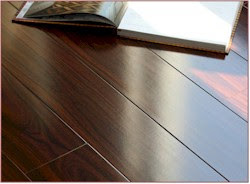 Finally, the DuChateau hardwood floors are engineered which means less waste. An oak tree must grow for hundreds of years to provide enough growth for solid hardwood planks. DuChateau uses a mixture of woods to create a modern flooring masterpiece. 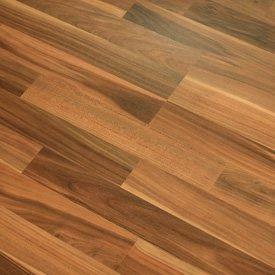 All of the great looks of solid wood flooring, with better stability and a much more environmentally conscious product. 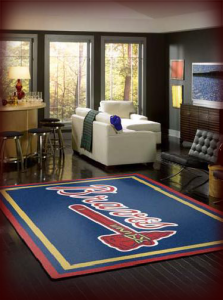 Legato Embrace Carpet Tile ReviewChicago Cubs Win World Series! Way to go Cubbies!